A key task force convened to work out registration rules for consumer drones ended a three-day meeting on Thursday with apparently no final conclusion. While it spent the day discussing how the registration program would work, the task force is yet to decide what types of drones would be covered by a registration program and what types would not. That's hugely important, as drones are expected to be hot holiday gifts this year, so the scope of the registration program could affect tens or hundreds of thousands of people. On Thursday, the group focused on reaching consensus on a recommended process for registration, the FAA said. "The discussions included how an operator might prove a [drone] is registered, how the aircraft would be marked, and how to use the registration process to encourage or require [drone] operators to become educated on basic safety rules." The FAA didn't say if a conclusion was reached on those issues, but whatever happened at the meeting, the task force still faces a Nov. 20 deadline to deliver its proposal. The tight schedule matches the speed at which the task force was convened. The FAA only announced its wish for drone registration on Oct. 19, and the members were announced on Oct. 29. The group brings together 25 companies and organizations that are working in the drone industry with government agencies. Co-chair is Dave Vos, who heads Google's Wing delivery drone project, and it also includes representatives from Amazon and Wal-Mart, both of which are researching delivery drones. The FAA has already received hundreds of responses from the public concerning the proposal to require registration of drones. Many have come from model aircraft flyers who assert that new rules will place an unfair burden on hobbyists, the vast majority of whom already follow rules and best practices established by the Academy of Model Aeronautics. 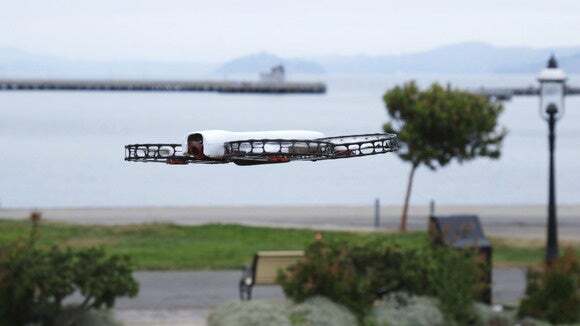 Hobbyists also worry that drone registration will stifle creativity, perhaps requiring a new registration each time a drone is modified or if one is built from scratch. If some form of registration is required, it might be better centered around the operator rather than his or her drones, some contend. The FAA is moving fast because drones are expected to be a popular gift item this year-end holiday season. Hundreds of thousands could take to the skies over the holidays, quickly outnumbering conventional aircraft but piloted by people with little or no aviation knowledge or experience. The number of near-miss incidents with aircraft is on the rise, and the FAA is keen to bring some accountability to the new hobby.